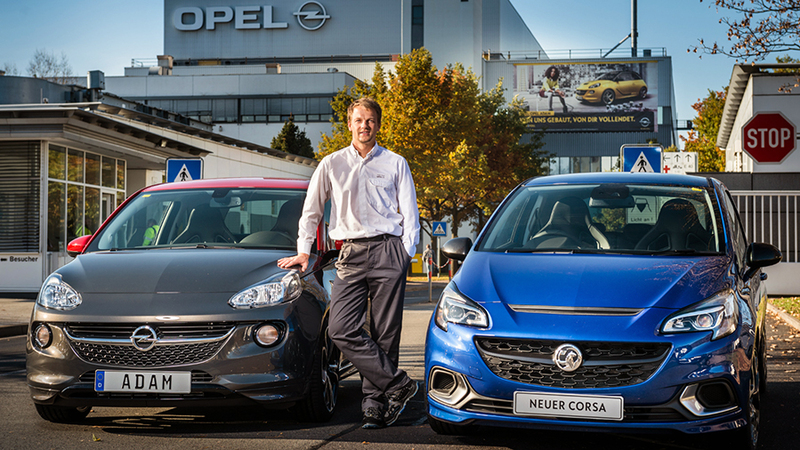 He is Opel’s youngest Plant Manager: As of 1 September, Pieter Ruts from Belgium is in charge of our Eisenach plant. Opel Post talked to the 33-year-old about his return to Thuringia, his new ideas, and his fresh optimism. Mr. Ruts, how did you react when you were offered the position of Plant Manager in Eisenach? Do you want an honest answer? (laughs) I’d just been in Kaiserslautern for ten months as Assistant Plant Manager in charge of production, and I was just starting to settle in properly. When our Manufacturing Director, Peter Thom, asked me if I’d like the Eisenach position, my first thought was: ‘Wow, really?’ I’d left Eisenach four years earlier as a head of department, and now I was going to return as the plant manager – that was a pretty exciting idea. I’d always said that I would return to Eisenach one day. In the world of Opel, Eisenach is my home plant. Everything that I know about car manufacturing I’ve learnt here. The team was very welcoming at the time, it was great; I was just 25 then. This is where I learnt German as well, and I got to know the town, too. There’s definitely a sense of homecoming – which isn’t to say that I didn’t enjoy my time in Rüsselsheim and Kaiserslautern. 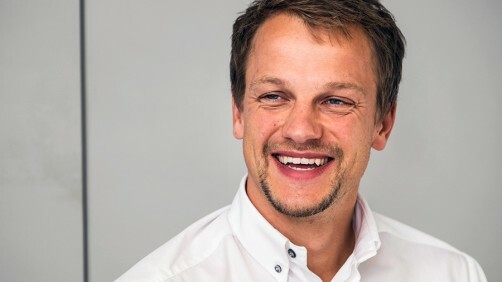 As of 1 September, Pieter Ruts (33) is the new Plant Manager of the Eisenach vehicle plant, which is in the German state of Thuringia. Ruts is the successor of Elvira Tölkes, who has moved to the company headquarters in Rüsselsheim and now holds the role of Vice President for Quality/Europe. Tölkes is responsible for assuring the quality of all vehicles bearing the Opel/Vauxhall brand. 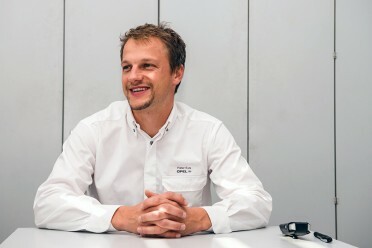 In his last role, Ruts was the Head of Production at Opel Kaiserslautern and previously was in charge of Final Assembly in Rüsselsheim for three years. 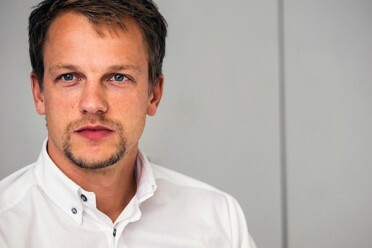 Ruts, who is originally from Belgium, knows the Eisenach plant well: Between 2007 and 2011, he held several managerial functions here and gathered a wealth of management expertise. Ruts first joined Opel in 2005 after completing a Masters degree in TEC Computer Sciences at the University of Ghent in Belgium. So you didn’t need to think about it for very long? Not at all – I got the offer on Friday morning, talked it through with my partner over the weekend, and accepted on Monday. It’s as easy as that! Of course, the tasks of a plant manager are a little different to the things I’d been doing previously. You end up doing things – like this interview! – that you’d never be faced with as an assistant plant manager. For example, I’ve organized donation drives for refugees and charities, and we’ve also received a visit from the State Premier of Thuringia. Just some of the many new tasks you’re dealing with. Sure, but the organizational structure in Eisenach is very robust. Our employees know their jobs well, and they know exactly what to do to keep production running smoothly. When there’s a problem, nobody waits around for the supervisor to start complaining. The plant runs very well. As a result, I don’t need to look after production all day long. Of course, when there are major decisions to be made, I still have my say. You are GM’s youngest Plant Manager in Europe. Does it ever become an issue that many of the employees, particularly in management, are older than you? That’s nothing new to me, so I don’t really need to change my mindset. Ever since I started working at Opel, all the other employees and also my supervisors were always older than me. Still, advancing to this kind of position at the age of 33 is quite special. The media in Germany and Belgium seemed to think it was worth mentioning, too. It’s definitely a sign of trust. That’s a lot of responsibility to be bearing at a comparatively young age. Well, I might be young, but that doesn’t mean people approach me expecting less – quite the opposite, actually. 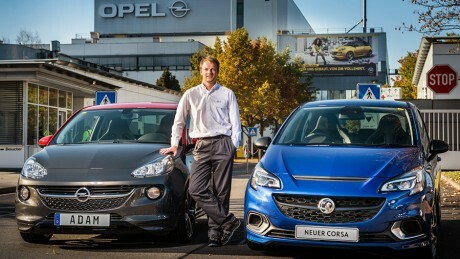 In my ten years at Opel, I’ve held nine different positions. I’ve really received a lot more from the company than I’ve been able to give back so far. That’s why I’m very grateful to Opel. And because I’m younger than most who hold this position, I think I might be able to offer some fresh perspectives and introduce new ideas and approaches. That might not suit each and everyone here, but I’m certain that it can only benefit the growth of the company as a whole when established matters are re-evaluated, and if they’re changed where there’s room for improvement. 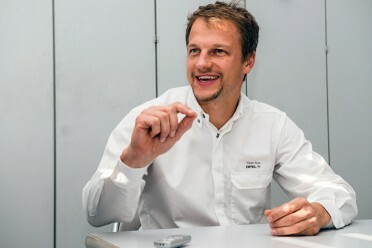 From 2007 to 2011, the native Belgian held various management-level positions in Eisenach. After two stints at Opel’s plants in Rüsselsheim and Kaiserslautern, he has now returned to Thuringia. A lot of things have remained the same here for many years. I don’t automatically assume that’s a good thing – just because it’s always been done like that doesn’t mean it can’t be done better. As a very simple example, when I looked in our Peoplefinder program, I saw that most of the portrait photos were from the 1990s – so we changed them. And it’s good to decide some things spontaneously: We set up two containers at the plant entrance where our employees can donate clothing for refugees, which makes it a lot easier than having to drive somewhere out of the way. The containers were full after just two weeks. On days when there’s no production, we offer training programs for our technical supervisors and team reps. We want to improve our overall plant environment, and we’re working on that very hard. Belgium, your home country, is currently the top-ranking country for soccer. What are your ambitions for the Eisenach plant? Yeah, we’re number one in the soccer rankings! Nice to see that someone outside of Belgium has noticed. But to answer your question, I’d like to delve into the plant history a little. Right from the beginning, Eisenach was the Opel plant with the most cutting-edge production system. We had colleagues from all over the world come and visit to witness it for themselves and to experience our production processes live in training sessions. As a result, the other GM plants have since integrated many of the processes we pioneered here. Over the past years, then, we’ve lost a bit of that sheen of innovation. That’s something we’d like to get back again, and there are a number of ways to achieve this. First of all: We still have one of our biggest innovations right here – the ADAM in all its glory. In order to manufacture this model, we had to develop processes in Eisenach that have remained unmatched – just look at our two-tone paintjobs, our customizing options, our logistics concept. Right now, we’re in a stage where these processes are getting stabilized, to put it diplomatically. But there are also a lot of new developments. We’ve introduced a third shift, and having new employees may prove quite inspirational. Also, we’re firmly focused on the future: We’re thinking about what’s important to Opel Eisenach in the next five to ten years. It’s easy to get sucked into the production processes and just go with them. But it’s also helpful to step back and see where there might be room for improvement. I want to create a sense of excitement again, and let the people feel that everyone can change, enhance, and influence our work here. If I succeed with that, then that’s a huge step forward already. Do you have a message for your employees? Between our 1,800 employees, we have a truckload of experience. My message to them is this: “You are the backbone of the plant!” We want to develop our processes together with all our experienced Eisenach team members; this way, we can maintain a strong focus on innovation and process development. Another priority for me is to improve workplace safety, and that’ll only happen if people look out for themselves and their colleagues more. There is a widespread attitude that the supervisors should look after safety, but ultimately, the responsibility rests with every single person. We need to make our team more aware of this. What does our new Plant Manager do in his spare time? I love taking my mountain bike out on the Rennsteig ridge. Jogging’s fine, but I get pretty bored with it after ten kilometers or so. Mr. Ruts, thank you for taking the time to do this interview with us. How do the employees in Eisenach manage to customize an individual ADAM for every customer?